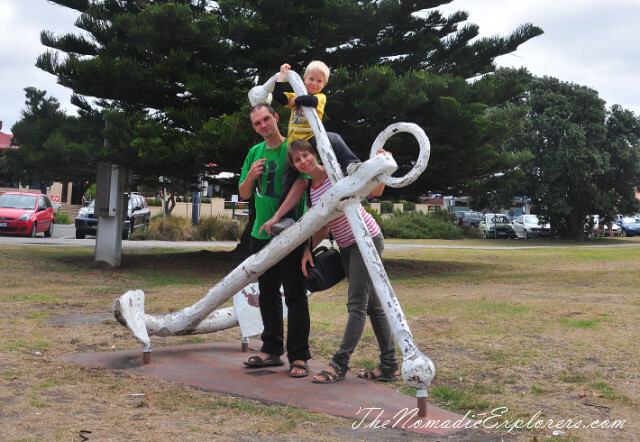 We were a bit tired after a long Great Ocean Road trip, so we skipped Teddy's Lookout and Kennett River Picnic Ground stops and headed directly to Apollo Bay to have a lunch. We spent couple of hours sitting next to the water, having rest and discussing where will be our next stop. The beach was quiet and nice and the water was warm. I wish I took my towel, as it was really pleasant to be there. One of the recommended lookouts near Apollo Bay is Marriners Lookout, but as we booked a night in Warrnambool and it was almost 4pm, we went further, to 12 Apostles. We've made only one stop after we passed Otway National Park, to look at the ocean (again) and rocks.